Let's Make Anime Great Again with Donald Trump! Anime isn’t cute enough. It’s not great enough. Presidential candidate Donald Trump wants to change that. Remember. If you vote for Trump, you are voting for anime. That’s a fact. Website Kawaii Trump has been closely following Trump’s pivot to anime. We thank it for that. 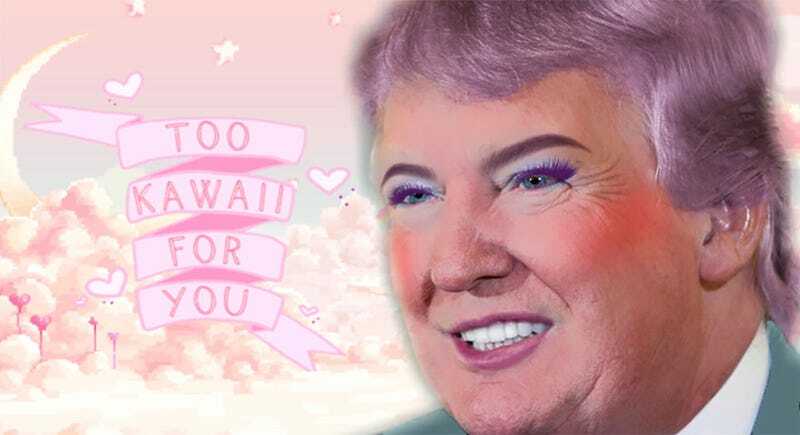 Surely, you can see how qualified Trump is to be the leader of the kawaii world. In his bid for the presidency, Trump has some big shoes to fill. 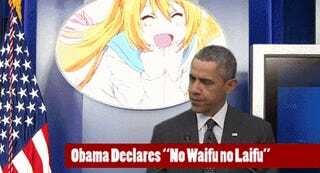 For years, President Obama has championed things like, “Anime first, and then economy.” He’s also given important speeches on how “anime is real.” But look at where anime now is. What’s happening. Anime is at a low point! This is serious stuff. Let’s face it. 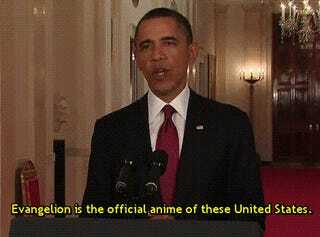 Under Obama, anime hasn’t been as great as it was in the past. I mean, this is a man who wanted to make Neon Genesis Evangelion the official anime of the United States. Thanks, Obama. Nice try. We want brand new anime that is both great and kawaii. Don’t try to take credit for the anime successors of previous presidents. This is probably why Trump has claimed Obama is not cute enough to lead and that only a kawaii president like him can get China and Russia to listen. Trump refuses to waver or censor his kawaii. Only he can return anime to its forever glory!